To help raise money and awareness for Variety, a children's charity, a few chefs went head to head in an all-out brunch battle, no holds barred: Eric Edwards from Tigh-Na-Mara Seaside; Todd Boyer from Stella's; Sylvain Cuerrier from the River Rock; Chris Whittaker from O'Douls; Wayne Harris from the Shangri-La; Scott Kidd from Lift; and Oliver Beckert from the Four Seasons. Each set up a station and dished out one or two plates. Eggs were featured heavily, cholesterol counts temporarily skyrocketing for those (read: me) intent on finishing all that was offered. Competition was stiff, no mercy was shown, the chefs as intense as Stallone in Over the Top. In the end, Tigh-Na-Mara won with the only station that didn't serve eggs, serving up a spinach salad with scallops, and an amazing sweet potato waffle with a Okanagan peach compote and roast almonds. Variety raises funding for children and their families, offering financial assistance for medical emergencies, expensive treatments or medication, and specialized equipment. The charity also led campaigns to build medical facilities like the BC Children's Hospital, and funds the building of child development centres with special care nurseries, all without government funding. We’re on the cusp of exciting times in Vancouver, with the city’s pilot street food project getting underway. Much has been made of the initiatives and potential missteps the city has undertaken in the last few months to graft an altered beast of Portland’s food truck culture onto our streets, turning an impassioned crowd into overnight urban planning experts. What foods would prove popular? What red tape will City Hall put around this? How are we going to mess this one up? The Gourmet Syndicate are thankfully moving past pure conjecture and putting tangible plans into place, even if they’re putting the cart slightly ahead of the horse. The outfit intends to offer turn-key food trucks to would-be street vendors, offering advice on the various administrative ins-and-outs and designing trucks to spec. Their own food truck, Roaming Dragon, now finds a lonely place at the west end of Richmond’s Summer Night Market, using the summer nights as its own test project so that they can hit the streets running once the city starts handing out the permits (which, from the sounds of it, may take longer than hoped, with only 17 spots available via a lottery system, and, like much of Portland’s ‘pods,’ permits tied to a geographic location rather than allowing vendors to roam freely). And the initial results are good, albeit a bit lost on the usual Summer Night Market crowd. Pan-Asian may take a bit of explaining to the predominantly Asian crowd, particularly when they’re surrounded by Xinjiang lamb skewers, grilled whole squid and those godforsaken potato swirls, but Roaming Dragon has thankfully wrestled that concept from chain restaurants that have rendered it unholy (props are assumedly due to “food consultant” Don Letendre, recently of Elixir at the Opus hotel). 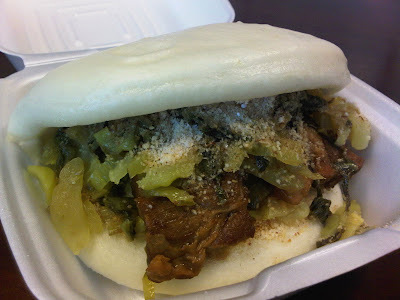 The braised pork belly sliders with pickled cucumbers are served on mantou, and are easily amongst the best foods that one can consume in Vancouver in a mere two (okay, three) bites. The pork melts away, tender as childhood love, its delicate saltiness nestling with the mantou’s gentle sweetness and rounded out with the slight acidity of the cucumbers. If one needs a reason to fight through the face-to-skewer-stick crowd of the market, this is it. The other offerings hit levels nearly as high. Tacos are filled with Korean kalbi shortribs, carrots, shitakes and sesame sautéed spinach, served in corn tortillas lined with nori, and drizzled with not-quite-enough kimchi sauce. A shredded duck confit salad is tossed with watercress, mint, cilantro, and bok choy, with a soy-lemon dressing and pineapple to add acidity, and topped up with watermelon and cashews. The fried rice balls riff on Chinese sticky rice, with Chinese sausage and dried shrimp mixed into an orb of rice, breaded and deep-fried, though the arborio rice renders it a bit too mushy relative to a glutinous rice. The chicken karaage are lightly battered and perfectly crispy, and better executed than in many of the Japanese places in town. (All items are $6, but one can have two for $10 or three for $15). All of the dishes make perfect sense, particularly given Vancouver’s familiarity with the Asian theme, and one can imagine the popularity that Roaming Dragon will have once they find their way to the streets. Cross your fingers and pray that Roaming Dragon will luck out in the permit lottery, and find your way to them at the Summer Night Market in the interim. It might take awhile for the City’s overall project to become a success, but in the meantime, there’s at least one tangible benefit that’s resulted. Shǎnxī 陕西*, beginning of the Silk Road and the endpoint of the Long March, beginning of the China's real West, the edge of the Empire for most of Chinese history. 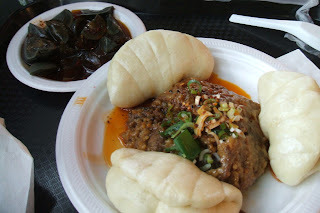 Shǎnxī's folk cuisine represents something almost unique in the history of Chinese cuisine. Its popularity is a result of the cultural and ideological change after the beginnings of the Civil War in the '30s... after the creation of the People's Republic in '49... and after the collectivization of the late-1950s... and after the disaster of the Great Leap Forward... after the excesses of the Anti-Rightist Movement and the Cultural Revolution.... Food and eating are crucial to any society but there'd been a certain history of cuisine in China, a history of a few thousand years. So, when it came time to dismantle things, when the private chefs of the Republican generals had been swept off to Táiběi 台北 to cook homesick banquets, when the vibrant restaurant and cuisine culture of the South had been swept away, when the work unit canteen or the people's commune hall replaced the family kitchen-- what new thing replaces the ancient? What was the revolutionary food of the people? The Communists had their Echo Base in Shǎnxī: Yán'ān 延安, the final destination of the Long March. At Yán'ān, with the Chairman firmly in control, the Party set about figuring out a replacement for the feudal, reactionary culture of the Old Society and the decadent, capitalist culture of the Republicans. When the Party cast about for revolutionary models to fill the cultural vacuum created by the aggressive revolutionary tidying up, the mínjiān wénhuà 民间文化 ("folk culture") of China's West looked like a decent placeholder. The mínjiān wénhuà of Shǎnxī in particular became a cultural force in revolutionary China, starting in the late-'30s. Look: the most important song of the era, "The East is Red," borrowed its tune from a Shǎnxī folk song. Yán'ān, and greater Shǎnxī by association, were the birthplace of the revolution. They became the revolutionary hinterland, the source of a pure, red working class culture, untainted by bourgeois capitalism or foreign influences. The food of the Shǎnxī working class became the diet of the Yán'ān Long Marchers-- it became revolutionary. A similar thing happened with Húnán food. The cuisine of Húnán, despite having a history of a few thousand years prior to his birth, is now forever tied to Máojiācài 毛家菜, cooking straight from the Chairman's home hearth. 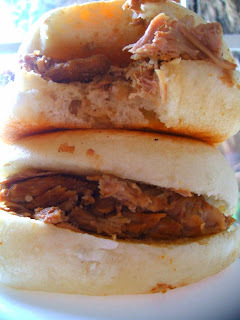 The earthy fare of rough cornbread biscuits and braised pork that represents Máojiācài 毛家菜 has a basis in the rural food of the province of Húnán, but it was also a neat revolutionary tool to highlight the working class, rural tastes of the Chairman. Húnán restaurants are popular in Mainland China and usually feature a rustic or straight up Maoist revolutionary theme. In a similar way, the food culture of Shǎnxī, as it spread outside the province, was also tied to a certain cultural creation, a time and place which probably never existed: Shǎnxī in the minds of Party cultural workers. Neither cuisine, tough, rural Húnán dishes and Shǎnxī folk cuisine, was something anyone had bothered paying much attention to, before the cultural shift following the Chinese Civil War and Liberation. In a country with a history of elite literati writing on the delicate flavors of river crab and appreciation of rare tea, there was definitely something revolutionary about praising a simple cuisine of potatoes, wheat, lamb. No poets had ever written odes to Shǎnxī's noodles. The food being eaten in the homes of the province, served in streetside stalls, wasn't the food of the Táng court (618-907)-- after the glory days of Cháng'ān 长安, which was once a cultural fountainhead for greater East Asia, the province became another dusty, poor place on the fringes of increasingly fragmented empires. They say Southerners are meticulous and Northerners are crude. If that's true, then Northwesterners are even more crude, even more rough. Their language is thick, rich with falling tones. The men are dark and the women are thick. The flavors of the local food are vibrant; light on the sugar but heavy on the salt. Ah, this blessed land. Shǎnxī! North: the yellow loess plateaus. In the middle: the Wèi River plains. Heading south, the Qínlǐng Mountains begin to rise. Looking over the vast banquet of Shǎnxī cuisine, a small amount can be traced to the palace kitchens of earlier ages or the estates of the Táng bureaucrats, but it's mostly from the tables of the commoners; the minority peoples of the province add a few dishes, and we get a few of the famous dishes from the city restaurants. It looks, superficially, like the food of the rest of Northern China, but, deep down, it is completely different. The food of Shǎnxī (and now the rest of the Western China), cloaked in a revolutionary, wild west aura, has become a basic working class meal in China. 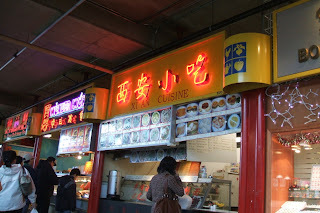 But, in Vancouver, there is still only one true school shrine to Shǎnxī cuisine. It's named generically: Xī'ān Xiǎochī 西安小吃-- Xī'ān, the capital of the province, and xiǎochī, the local "small eats." It's named generically because it has no competitors. There are a handful of places vaguely specializing in Northwestern Chinese food (like Peaceful Restaurant [和平饭店], to name the most obvious example), but nobody else, yet, has gone for pure Xī'ān, pure Shǎnxī. Right in the Richmond Public Market: that nest of cement and iron, with its misplaced twee agricultural theme. The basement is taken up by butcher shops and vegetable markets, a fish monger, a DVD shop, a bookstore. Unlike the Crystal Mall, which is populated by pretty kids in Marc Jacobs bags and trucker hats, the Richmond Public Market crowd is more likely to be playing checkers on the tables in the food court, sneaking out onto the balcony for a smoke, watching endless sports highlights or Canto soap operas. Xī'ān Xiǎochī has been open for a seven years. It opened the week before SARS was reported, and Mr. Duan, from Xī'ān, who runs the place, with his wife, remembers coming to work for the first month with a surgical mask on, and the whole place being absolutely dead. It has a following. There are newspaper clippings tacked up in the back or set underneath the glass counter. My favorite review is titled: 《吃了就不想西安了》, after eating here, you won't miss Xī'ān anymore. Another one of the few similar places outside China, Xi'an Famous Foods, in Flushing, New York, has been written about extensively (like in the New York Times... and Anthony Bourdain went there, man)... but Xī'ān Xiǎochī has kept a much lower profile, outside of the local Chinese media. 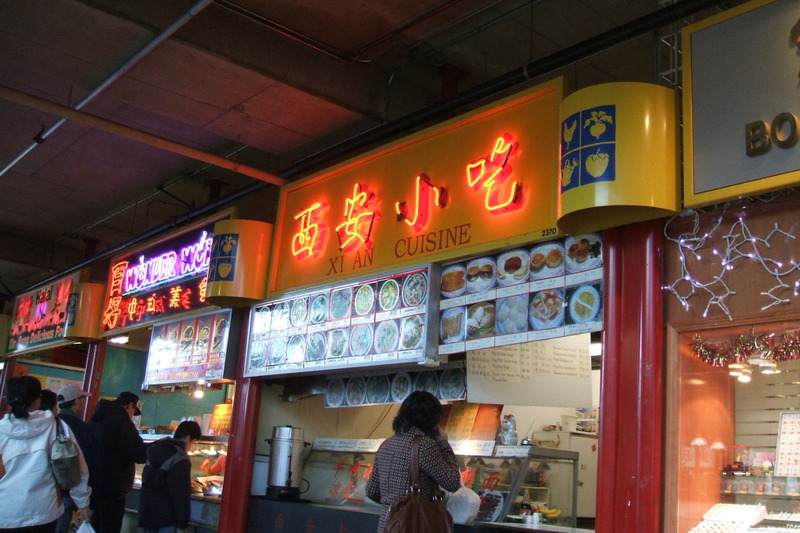 The menu is a wall of text, but most of the business is in a handful of specialties: ròujiāmó 肉夹馍, fěnzhēngròu 粉蒸肉, lāmiàn 拉面, and liángpí'r 凉皮儿, dāoxiāomiàn 刀削面. How many times have I heard Duan call from the counter, in an accent miles away from Běijīng- or Táiběi-accented Mandarin, "肉夹馍好咧!" "Ròoooooooujiāaaaamó hǎolie!" That accent, like an Irish burr-- Mandarin with an Irish burr. Now, I know exactly how long it takes to make most of the dishes but I usually duck down the corridor, pretend to be looking the other way, so that I'll get to hear my dish being called. 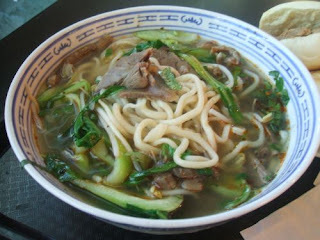 ...a classic Northern Chinese street food that emerged from the streets of Shǎnxī. It is two things: meat and bread. The bread is báijímó 白吉馍, a puffy flatbread that is usually baked in a steel drum, nowadays (forget importing Italian pizza ovens, somebody needs to hook up a decent steel drum oven). The meat is braised pork: làzhīròu 腊汁肉 (not to be confused with làròu 腊肉, cured pork). The pork is boiled until barely holding together, in a dark, rich broth-- restaurants in Xī'ān claim to have been using the same stock for decades. The broth is flavored with the usual: cassia, anise, ginger, cardamom. It's simple. It has none of the condiments that you'd get outside of Xī'ān, no cilantro, no hot sauce. Pork. Bread. Fat and carbohydrates. Simple, rich. The textures are magnified by the flatness of the flavor: the crunch of the baked outer crust, the whitebread marshmallow fluff, each thread of lean pork being cut through with molars, the snotty balls of fat that leave greasy slugtrails as they melt across your tongue. I've eaten hundreds. Paired with a styrofoam plate of pork ear, doused in vinegar and chili oil... a little dish of mustard leaf and pressed tofu... or a bowl of lāmiàn, pulled noodles, the best in the city. I'd probably just order them plain (no leafy greens or anything else): crystal clear broth (briney lamb bone flavor), noodles (just a bit undercooked when they hit the bowl, but slowly softening and stretching out), a few slices of beef (like a cold slice of roast beef, chewy and good), a splash of black vinegar, a crunch of oily chili paste on top (red bubbles in every spoonful). But the same noodles crop up in simpler preparations: in a soup of tomato and egg, or just stirfried with shredded pork and bean paste, or in the yóupōmiàn 油泼面, which is, honestly, nothing but those perfect pulled noodles drenched in slippery greasy yellow oil and a spoonful of vinegar and is secretly the best thing on the menu. 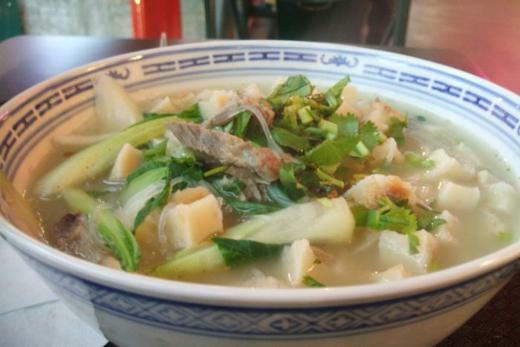 Another classic of Shǎnxī folk cuisine is yángròu pàomó 羊肉泡馍, a stew of lamb meat and flatbread. It's a peasant dish. Simplicity: cloudy lamb bone soup with stale bread to soak it up, a bit of fěnsī 粉丝 (bean starch vermicelli). Some items on the menu are never available: nobody ever orders them. 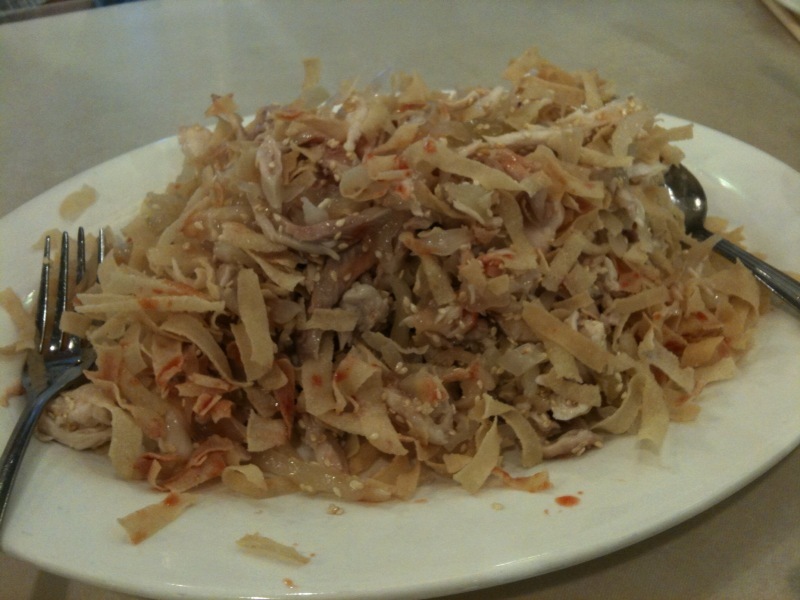 They're snacks or dishes obscure to the rest of the world but incredibly common in Shǎnxī. Fěnzhēngròu 粉蒸肉, pork steamed with rice flour, used to be one of them... then it was only available on the weekends, but is now available most days of the week. It's a fatty pork shoulder and some belly, double cleavered into a pork mush, then left on the steamer all day. It comes out soft, coated in starchy white rice mush, ready to be self-serve chopsticked into goose down pillow steamed buns. Some afternoons, I order and then dart down to the liquor store downstairs, eat it with whatever the cheapest beer is-- Holsten Premium, whatever-- tucked away under my windbreaker-- and savor every fatty starchy bite. Liángpí'r 凉皮儿 is another favorite... and I think this is the only place (of few) in the city that does it absolutely right. It's a simple dish of sticky wheat noodles, dressed with chili oil, sesame sauce, and vinegar. Usually eaten in summer, but it also appears in the depths of winter. It's mainly eaten by women: pretty twentysomething girls, and the middle aged, faded beauties. Method: One jīn [half kilogram] of wheat flour to every two jīn of water. Pour the water into the wheat flour in three pours. Mix it into a paste and continue adding water to thin it out. Add salt. Add baking soda. Mix it until it hangs off of the chopsticks when you mix them. Place cheesecloth in a steamer and pour the paste onto it. Steam for six or seven minutes on a high flame. Place the steamed liángpí on your countertop. Stack the pieces up and then slice them into thin strips. Liángpí sellers never use a scale. They reach in, grab three pinches into the bowl. Each time they do it, the amount is exactly the same: never short and never over. Then, blanched bean sprouts are placed on top, along with salt, sesame sauce, and three more pinches of liángpí are placed on top, along with chili oil. The white contrasts with the red. Mouths begin watering. You must always remember, when eating liángpí, to bring a handkerchief with you to wipe your lips clean while you eat. Here, cucumbers and cilantro are added to the recipe, but simplicity is maintained. It's a simplicity that sums up Xī'ān Xiǎochī's menu and Shǎnxī folk cuisine. CAFETERIA - NO FRIES WITH GRAVY HERE. I heard from friends that Pings was sold and that it had been bought out by the group that owns Pied A Terre, and La Buca. I am actually not sure if Pings was purchased or if the Cafeteria just took over their lease, either way what was once Pings is now The Cafeteria. The interior went through a quick revamp. New lights, re upholstered seating, newly stained chairs and some large menu boards that represent the theme Cafeteria. I personally miss some of the Pings decor but there is nothing wrong with the way Cafeteria looks, and I am quite happy that I didn't have to wait behind a curtain like I have to at La Buca. The menu was short and we were told that an item or two may change daily. Our tabled ordered the mushroom risotto (11.5 for the appetizer size, and 17 for the meal size), lobster tortellini (18.5) and the duck breast (19.5). We all were very happy with our meals. The lobster which worried me when the server mentioned that it was only three tortellini was impressive in size. The tortellini were large and packed with lobster which made the meal a good deal even considering the super low market price of lobster. The duck breast was also delicious. Not fatty or rich, and cooked just right. The mushroom risotto I found very tasty as well and contained a good variety of mushrooms. A friend leaving the restaurant had mentioned it was only so so, but everyone at our table enjoyed it. The La Buca / Pied A Terre group seems to know how to hit the ground running. Cafeteria is a great little spot and in the 5 days that it has been open seems to have all the bugs worked out. Let's get the obvious out of the way about Gorilla Foods, a tiny basement suite that specializes in raw foods. The place is staffed by the earthy folk that one would expect, and the obligatory reggae tune over the stereo. Service is generally pleasant but slow, with most of the help definitely of the feel good variety. It's as much of a lifestyle choice as it is a restaurant, and it's hard not to review the place without tackling both its guises. There are salads a plenty, which seems to be the favourite choice among the lunch crowd, along with sandwich, pizza and other entrée options, along with a plethora of juices, smoothies and desserts to round out the menu. I ordered the Maui Waui pizza ($7), out of novelty's sake, featuring a layer of chopped parsley (purportedly kale from their online menu) over top a layer of sundried tomato "sauce," dusted with pineapple and a 'cheese' crumble made of walnuts (presumably from a fermenting process), all atop a flatbread-esque crust made of pressed sunflower seed, buckwheat, carrot and flax seed crust. The crust in itself is pleasant enough, somewhere between firm and chewy, though obviously insufficient for anyone in need of a certain level of crispiness in a pizza. The 'cheese' crumble is really what takes some getting used to, as, despite however much it is advertised, the cheesy, nutty flavour sneaks up unexpectedly. It's interesting to think how far this has come from the first incarnation of raw food pizza, which found its origins in San Francisco's now defunct Raw, the world's first raw food restaurant. Their pizza crust had purportedly originated from a jar of oversprouted and slimy buckwheat that hadn't been attend to and which subsequently dried out, owing to the chef's foot injury. Many raw food restaurants have subsequently danced into the world of faux-everything, creating what CHOW's Lessley Anderson has called a "schism" in the community, with traditionalists avoiding refined oils or processed foods in favour of simple salads and the odd puree. When the pizza is coupled with a Strawberry Zing smoothie ($6), made of strawberries, bananas, orange juice, hempseeds, and ginger, and you've got yourself a solid lunch. The bananas obviously and the hempseeds assumedly thicken the thing up, with the raw ginger adding a requisite spiceiness to round out the strawberries. Finish it off with a orange walnut spice ($2) cookie - which, without being baked tastes more like a elaborate fruit bar - and you can put dinner off until late. This adds to the conundrum of this level of processed raw food. Despite its relative tastiness - and don't get me wrong, my overall experience with Gorilla Food was a tasty (albeit a bit pricey) one, worthy of an occasional repeat - one wonders how it fits or doesn't fit within the raw foods zeitgeist. The health benefits of raw food may take a dive when processed to something akin to a fruit bar (as was the case with the cookie), and as Anderson puts it, something akin to a candy bar in nutrition value sure goes down a lot easier under the guise of being 'raw' and healthy. Taking that thought further, some of the main arguments for eating raw haven't found much ground with conventional nutritionists. A researcher from Cornell disputes the claim that cooking destroys naturally occurring enzymes, thus forcing your body to rely on its own: most science undergrads can assumedly vouch for the fact that your body makes an abundance of enzymes anyway. Another researcher from Berkley admits that cooking at high temperatures will destroy certain nutrients in produce, but points out that most people in this day and age don't boil their vegetables to death anyway. 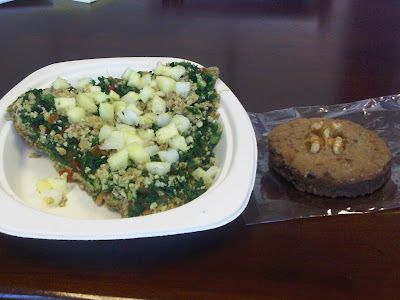 Conversely, however, the health benefits of many other lunch places downtown (or elsewhere) can be even harder to find, and so it's easy to rationalize a raw food lunch as a break from the other side of excess, at the very minimum. If Gorilla Food has to swing its side of the argument with the occasional cookie dangling on the edge of "somewhat healthy," it's doing those with a penchant for the Tim Horton's up a few blocks a favour. It might not be a lifestyle choice for most, but it's certainly a good lunch option for everyone. I was just sent an email about this great event held for a good cause and I wanted to help get the word out by posting it on Vancouver Slop. Hope to see you there!! Food Fight! The Battle for Brunch, Variety – The Children’s Charity’s brand new fundraising event, is bringing together some of BC's finest chefs in a battle for your taste buds! Mingle with friends as you sample each delicious brunch offering and cast your ballot to declare one chef the Food Fight champ! Among the event’s contenders are Executive Chefs from LIFT Bar & Grill, MARKET at Shangri-La, O'Doul's Restaurant and Bar, River Rock Casino Resort, Stella's Tap and Tapas Bar, Subeez Cafe & Bar, Tigh-Na-Mara and YEW Restaurant at the Four Seasons Hotel. Emceed by Vancouver personality, Fred Lee, this stellar lineup is sure to please foodies of all ages and palate predilections so make sure to get your tickets early! 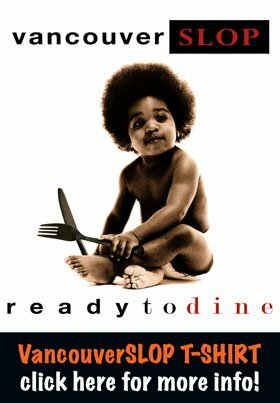 Tickets are $65 and available online at www.variety.bc.ca/foodfight.htm or by calling the Variety office at 604.320.0505. I can respect a certain amount of obsession. If single-mindedness and tunnel vision is sometimes needed for perfection, so be it. When a restaurant names itself after a solitary protein, I appreciate it. I've been to Dae Ji, which means "pork" in Korean, on numerous occasions over the years. It's not quite a temple to all things pig in the same way that bacon lust has reigned its unholy terror over the past few years, but a singularly obsessive ode to dongas, a Korean take on the Japanese tonkatsu, though pounded thinner into schintzel territory. There's multiple iterations on the theme here: dongas plain and simple, dongas in curry, dongas rolled up with kim chi, ad infinitum. Even the non-pork options - breaded chicken cutlets, breaded fish fillets - are in on the game, all offerings to that Holy Deep Fryer in the sky. Instead of a porcus Baptist revival, Dae Ji has a hushed, mechanical love, a dogmatic sense that toil and labour will ultimately please its breaded and curly-tailed overlord. With that said, one can almost appreciate the sheer neglect given to all other items offered. 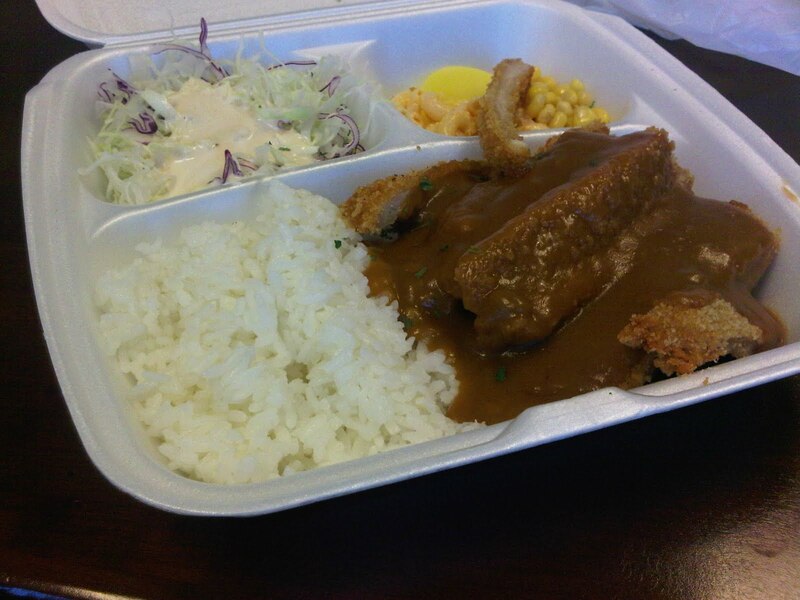 The basic cutlet ($7.99) comes baptized in an oddly tangy take on a Japanese tonkatsu sauce. The curry version ($8.50) repeats the same in a typical Pacific Rim curry sauce, albeit weighted down with potatoes. Each is served with the same side dishes: a side of regrettable, spicy macaroni salad; lettuce shavings insulted further with a mayo/Thousand Island concoction, etc. All of this may spell disaster for most other places, but the fact that Dae Ji provides not one, but two cutlets per serving only confirms that you're not meant to enjoy anything other than the cutlet anyway. For those whose arteries cannot abide by the same, Dae Ji also offers a dae ji bulgogi (pork slices marinated in spicy kimchi sauce and non-fermented cabbage; $6.99) and a kimchi fried rice with an egg on top ($7.99). You might be tempted to bypass a place as innocuously named as Sandwich Garden, but this mom and pop dive has always offered hidden treats. While a prior incarnation offered traditional Korean fare, the latest version of the restaurant now offers a handful of Brazilian grub. Sandwiches (naturally), hot dogs and other pedestrian eats still dominate the menu, but pao de queijo (cheese breads) are also offered ($1), sometimes stuffed with bacon, and at all times better than those found in the freezer aisle. Also present are coxinhas, best described as chicken croquettes shaped like a drumstick sans bone, stuffed with spices and onion inside a crispy potato shell. The occasional daily special features Brazilian home-cooking: arroz feijan carne (rice with beef and beans) is offered at least twice weekly, and a version with chicken at least once weekly, both of which are more soulful than they initially look. Other days are more run-of-the-mill (eg lasagna, stroganoff, etc). 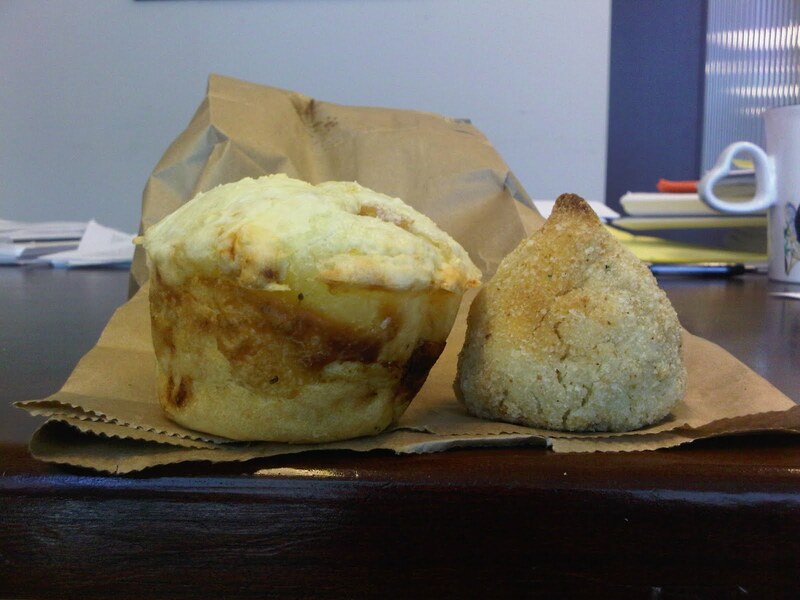 Stop in for a quick pao de queijo, ask if there's a Brazilian daily, and partake. Here are two things that you need to try in this city. 1. 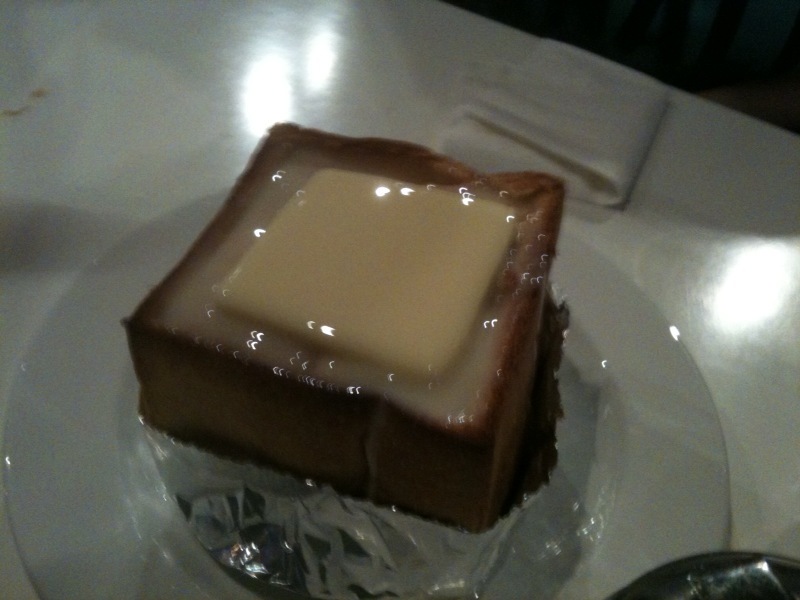 I call it Heart Attack Toast ($5) or cube toast with condensed milk as it appears on the menu. Imagine a cube of toast, scored in the middle, with a chunk of butter on top and then condensed milk poured over top. Not the food to eat if you are watching your fat intake but you can get the ligher version which has honey instead of condensed milk but it still comes with the slab of butter melting on top. Available at most HK Cafes but this one was from I Cafe. For all intents and purposes, there’s little separating Superwok from the commonplace cafeteria. 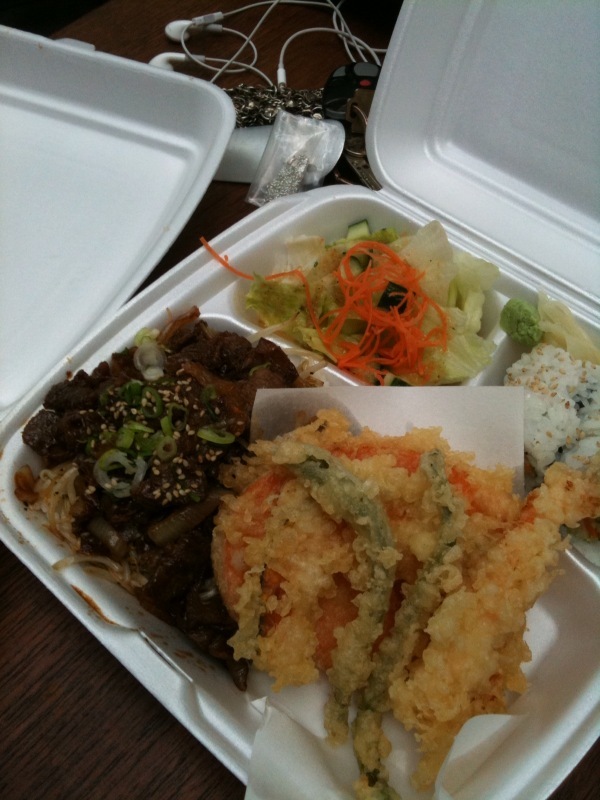 Its general patronage is comprised of ESL students and Asian office workers within the two block radius. The place is drab, with little separating it from the other cheap downtown lunch places, each emphatic on speed and affordability over all else. Remnants of its predecessor – also a cheap downtown lunch place run by a Croatian couple whose odd burek special did not endure – still adorn the walls and the menu. There is little that would make one want to remain for more than the noon hour, and one lingers that long only to be somewhere other than school or work. Superwok offers both that hourly refuge and old school Taiwanese eats, the sort that office grunts and high school students would presumably also find their way to in that country. Unlike other Taiwanese places in town, there is little in the way of frills or esthetics, the walls a pale pallor and adorned by Coca Cola ads and a makeshift menu board (comprised of photos of some, not all, of the dishes, odd bits of paper, a chalkboard, etc). Instead of pages of options, there are perhaps ten to fifteen plates to be had here, sour plum drink finding a presence over bubble tea. It’s that utilitarian-ness that gives Superwok its sense of romanticism. All involved, both behind and in front of the counter, are linked in a common servitude, and the place serves its worker function, no more and no less. 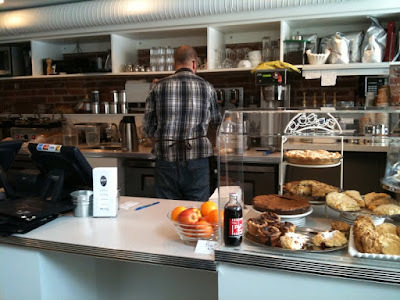 Though better versions of the food offered can be had elsewhere (though, strangely enough, not anywhere in downtown Vancouver, at least until Well Tea opens its new location), it’s that practicality that gives the place its character, and something the workers can unite behind. Sometimes I get lucky and I get invited to try out new restaurants; it is really nice to get something after all these years of blogging. 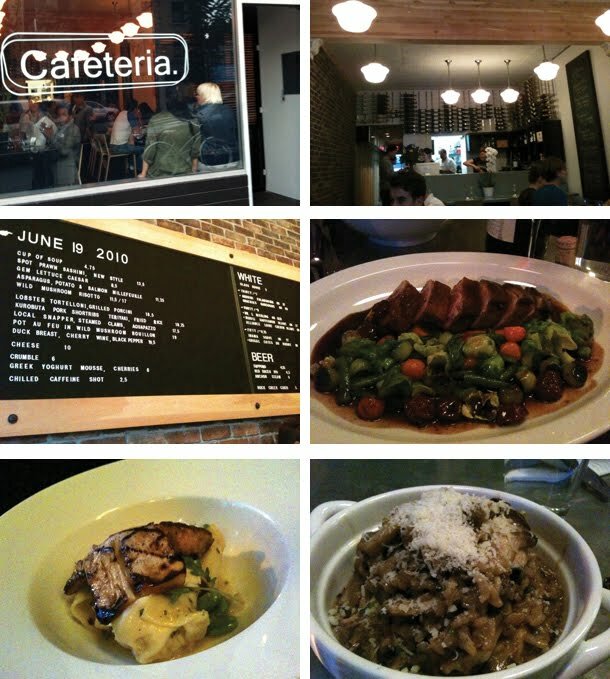 I went to a restaurant named the Apron which was located in the Richmond, Westin Hotel. The interior was simple, modern and nice. Sitting down it definitely didn't feel like fine dining but more like a bistro. Boy was I in for a surprise. We were greeted by the chef named Hamid Salimian who explained that were we going to try items from the summer menu in which no dish was over $25. - Puffed foie gras which I am still unsure how he puffed or aerated it. Fluffing up the duck liver really cuts the richness of this food. - English Pea soup (mint croutons, tyrol bacon and a buttermilk bubble) this was a sound clash of flavours that blew my mind away. The buttermilk bubble was an example of Chef Hamid's passion for molecular gastronomy, where he created this little packet of buttermilk that you can bounce around and break open to unleash the flavour to the rest of the soup. - White chocolate and kalamansi - I am not too familiar with the kalamansi fruit but this thing was coated in a layer of white chocolate and surrounded by a mound of finely powdered white chocolate. Its best to toss in into your mouth and chomp down on it to unleash a flood of flavourful juices. We were fortunate to have the chef come out and explain each and every dish and detail where he sourced his product from. It was impressive to hear that the chef knew exactly what vessel caught his fish rather than hear him say some major distribution company supplies it. The images and the video show our meals but we were told that they were just tasting portions (half the size or missing starches). After looking at the prices I found them all to be more than fair, and in some cases incredible value considering the craftsmanship and quality of the ingredients. If you are a food lover, and enjoy dining out as an experience and not just sustenance then this is a must visit for you. Eating this meal I couldn't believe that I was in Vancouver, it felt like one of those restaurants you book months in advance for your next vacation to New York, LA or Europe. I know I am repeating myself here but if you appreciate craftsmanship, creativity and attention to detail when dining out then plan a visit to the Apron and ask if Chef Hamid will come out and say hi. Sherman from Shermansfoodadventures was also at this dinner and you can see his review on his site shortly. Joe already made a post about ACME Cafe but I really want to tell you about this pie I got today. Availability varies as the man in the kitchen makes are variety of great things but this apple meringue pie is a must try. 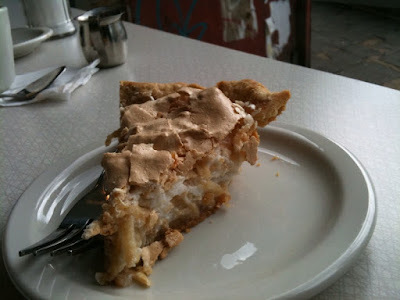 This thing was insane, light meringue, mixed with the bitter and sweet taste of an apple, complemented with a buttery crust and some sugar. I was freaking out of damn good it was and my sharing partner couldn't stop talking about this thing (it got annoying but I understand where she was coming from). Go to ACME Cafe and try some of their pies out, I heard the peanut butter cream pie is incredible as well.